Wedding favours are tricky because you want to express your thanks with these little gifts but you are not sure what works. Nobody is going to want those pretty good-for-nothings that will only be left to collect dust. There may be some favours like wine openers that seem extremely practical but truth is, your guests have probably collected 10 of those from previous weddings. Here are our top 10 wedding favours that is probably on your guests shopping list and are the perfect little additions to your wedding decoration! These lovely luggage tags are such a great wedding favour, especially if you are hosting a destination wedding further from home. You can customise your message on the tag itself but we’d advice you to simply customise a little card and place it inside the tag. This way, your guests will definitely be able to use it on their flight home! Who doesn’t like some good old chilli or ketchup sauce right? These small bottles are going to be a total life saver when you end up eating at a restaurant that has run out of their own sauce! Plus, they look totally adorable. Your wedding favour really can’t get anymore practical than this. Unless of course, your guests don’t bathe. There are so many types of bar soaps that you can get in all shapes and colours to match your wedding theme. Your guests will definitely love these! They also go extremely well with dried flowers if you are planning to have those as part of your wedding decoration! This is definitely one of our favourites from the entire list! The possibilities are endless when it comes to these pretty small dishes. It can be used as an accessory holder, a dessert plate or anything under the sun! You will realise how important these tiny things are when your laptop crashes along with all your hard work and tears. Your guests are going to thank you for saving their asses. These flash drives can also be customised to whatever suits your style! You have probably put a lot of thought into the type of songs to include in your wedding playlist. Don’t let all that hard work and effort go to waste! Burn your playlist into a pretty vintage vinyl disc and gift them to your guests. They are going to remember this special day every time they listen to it! If you were actually considering one of those typical mason jars as your wedding favour, trash that idea now!!! Mason jars are definitely pretty but nobody is going to hold a mason jar everywhere they go. Tumblers on the other hand are presentable and truly practical. Of course, try to avoid cheesy messages on the bottle so that they can actually use it on a daily basis. For couples who are planning an outdoor wedding, the next 3 wedding favours are for you! 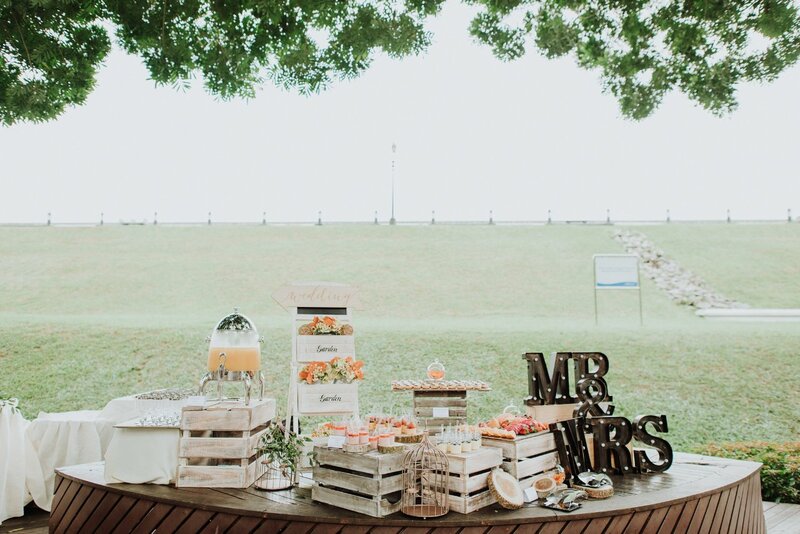 A garden or beach wedding is stunning beyond measure but it also comes with disastrous risks. When the sun is shining bright and your guests are drowning in their own sweat, nobody is going to truly enjoy your wedding. These lovely fans will come in extremely handy and they will be impressed at your thoughtfulness. The next disaster that can possibly happen during your outdoor wedding is an unforeseen drizzle or an all out downpour. Prepare these umbrellas as your wedding favour so that your guests won’t go running away! Your ceremony is probably going to take a long while and your guests are going to dry up from all that shouting and screaming after witnessing your beautiful wedding. Prepare some thirst quenchers to rejuvenate them so that they can resume their hollering! You can also get some mini alcoholic drinks to get them in the mood. These potted plants are getting increasingly popular in the wedding scene. Many couples love to use them as their wedding decoration and favours. It isn’t actually that practical but it definitely is a trap. Nobody is going to bear to throw these little lives away so they are forced to care for them and use it in whichever way they deem fit. Are you looking for a wedding photographer to document your special day? Head to our website for more details on our attractive wedding day packages! We do both local and destination weddings and we provide videography services too. 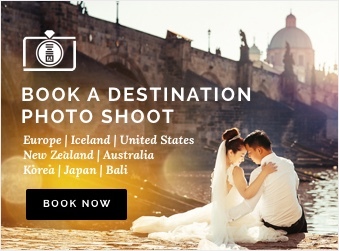 Learn more about our wedding photography service in these popular destinations, Bali, Phuket and Singapore.